One of my favorite things to do as a photographer is hike in beautiful places and take pictures. I’ve carried camera gear in a wide variety of bags and with a number of different carry systems. The greatest challenge for active photographers like me is to have a safe way to carry my expensive gear while retaining quick access to it. The Cotton Carrier brand is clearly focused on people like myself, with most all of their social media presence and branding designed around hikers, cyclists, and people who like to get out in nature…and bring a camera along while doing it. 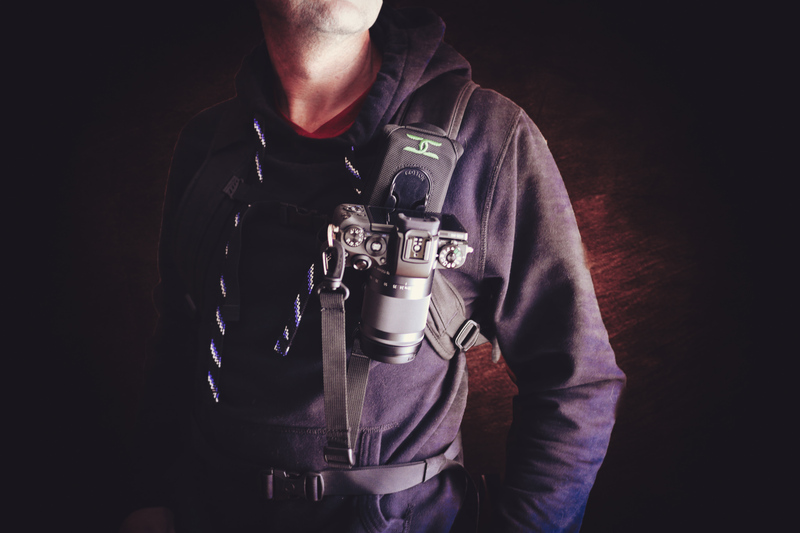 The Cotton Carrier Strapshot is a product with a focused purpose; a camera carrying system designed around quick access to the camera. Does it succeed? Let’s jump in and find out. Want to see my field review of the Strapshot shot in the Arizona desert? Click the video below! I recently reviewed the Peak Design Capture Pro camera clip (which I definitely liked), and it has a similar purpose. Because I’ve recently used it there are some natural comparisons to be made. Both systems rely on being attached to something else, so aren’t really a fully “standalone” product. 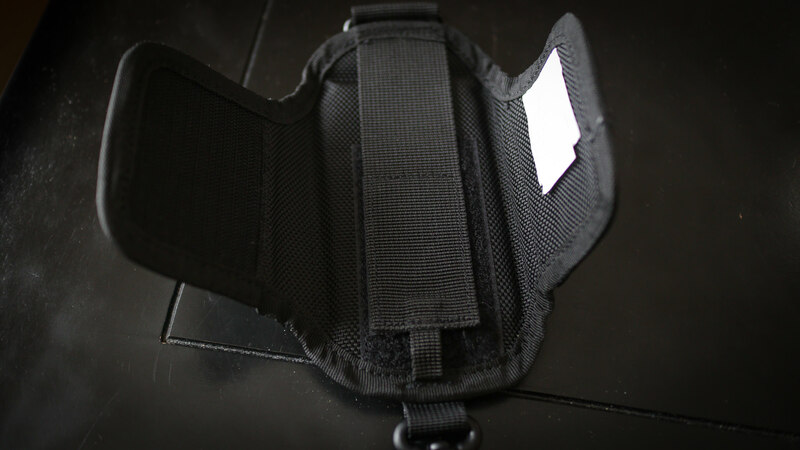 I primarily used both the Peak Design Capture Pro and the Strapshot in similar ways: attached to the strap of a backpack or right onto my belt. I really, really like this kind of carry system when attached to the strap of a backpack. Backpacks are a great way to carry a good amount of gear, but the drawback is accessibility. Having the gear in the backpack is of limited use when you just want to grab a quick picture, and I’ve had moments where I wanted to take a picture but didn’t feel that it was worth the time and effort to remove the backpack, take out my camera, take the shot, and then reverse everything. Now before you judge me for my laziness, remember that I shoot about five months of the year in winter conditions…and sometimes extreme winter conditions. Even in nice weather, though, having quick access to a camera to grab that shot is hugely important to me. 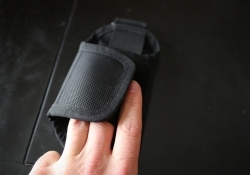 I’ve used the Strapshot extensively while on a two week trip to the state of Arizona. I’ve done quite a bit of hiking and backpacking while here, and I’ve used the Strapshot when attached my backpack but also just attached to my belt for a quick, light foray. 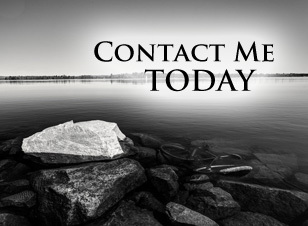 I’ve previously reviewed the Cotton Carrier Harness 2 system that I use extensively for shooting events and/or weddings. 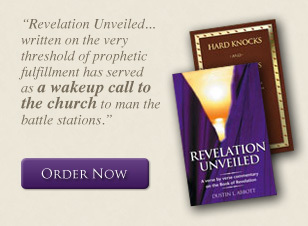 I really like that system (watch my review here), and there are some definite similarities between the two systems. Cotton Carrier has a proprietary attachment/lock system that involves attaching their lug to the tripod mount on the bottom of your camera. This involves what I consider the weak link of the system: there are three parts of these lugs that arrive in separate pieces. There is the durable moulded plastic locking part, a rubberized spacer, and the actual bolt that screws into the tripod mount. The bolt threads through the plastic part and the spacer, and friction between the bolt and the spacer should hold everything together (but doesn’t always). This assembly requires the included Allen wrench to tighten things down, which is fine if you happen to have that Allen wrench with you, but if things start to loosen up for some reason, or if you want to remove the attachment lug to mount the camera on a tripod, there isn’t really a plan B. The bolt doesn’t also have a flat groove along the top that might allow you to use a coin or something similar to tighten/loosen it, nor does it have a ring that can pop up so that you can add some torque to finger tighten (tool less) it like some systems have. This is really my chief complaint with Cotton Carrier products. But there is also a serious upside to these attachment lugs. They are designed so that you mount them with arrows pointing in the direction of how you want the camera to hang (pointing down). 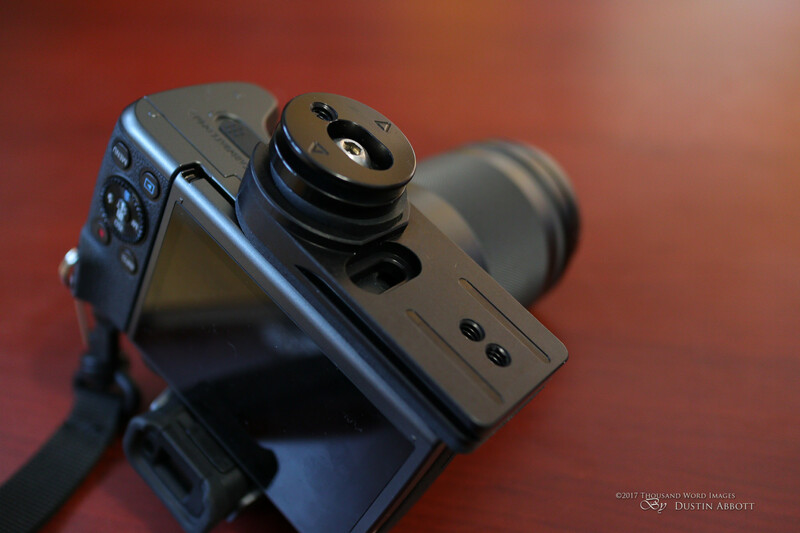 Once attached, you turn the camera 90 degrees to the side and slide it down into the bracket. Once it reaches the bottom you swing the camera facing down and it is locked in. 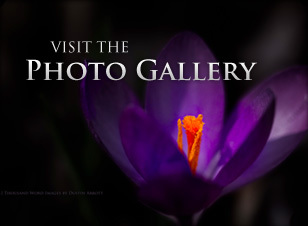 To remove it, simply turn the camera to the side again and lift up, and it is instantly free to shoot with. It’s a very secure system. The ease of release and locking once the attaching lug is attached to the camera is one of Cotton Carrier’s greatest strengths. The Peak Design system has opposite strengths. I found attaching their “Anchors” much easier, and they utilize something like a Quick Release plate that is Arca compatible so that you can quickly transfer to a tripod if desired. I really like this. The release system for the Cotton Carrier is a bit easier, though, and the Strapshot itself attaches more quickly to your belt or strap than the Capture system, which relies on two adjustment knobs to first create space and then to tighten everything down. The Strapshot uses a system of Velcro attachments that you can attach in seconds. Which system works better for you might depend on your priorities. Those that carry somewhat heavier camera combinations attached to a backpack strap have complained about the Capture system in that it can “sag” forward because of the weight. There is nothing that provides tension from the top to prevent this sag. 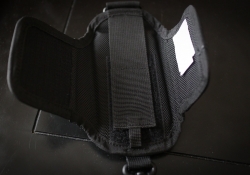 The Strapshot employs an optional strap at the top that you can attach to a loop or hook on the backpack and tighten, which then provides some extra tension to the top of the Strapshot and will prevent this sagging issue. This is a nice touch for those doing particularly active things as it will keep your gear more stable and prevent it moving around while you are! 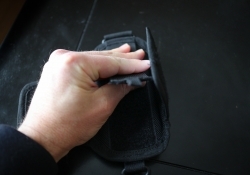 The Strapshot is made of durable nylon materials, not metal, so there is no fear of banging your gear against metal parts or scratching that gear on it. Another nice feature is that the Strapshot has a failsafe strap that attaches to the camera via a simple metal “key ring” so that if for some reason your camera did come loose there is a safety line that will prevent things from falling to the ground. I also like the way the Strapshot attaches to a belt or something similar. Underneath the larger “wings” that fold over each other and attach via Velcro there is a secondary, thinner strap that also utilizes Velcro. It folds down so flat that I didn’t see it at first, but it can be raised, run under your belt, then attached via Velcro beneath. The two folding “wings” can then attach to each other around it and the end result is stable and secure. 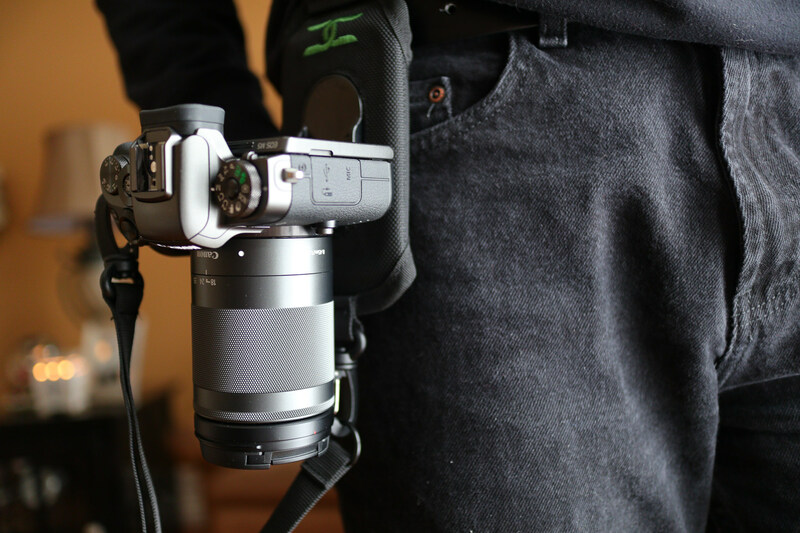 Adding a mirrorless body to your belt is easy and works surprisingly well. I did several shorter distance hikes (2-3 miles) with nothing more than this. You might want to move the “safety strap” to the top ring on the Strapshot to allow you more play in the safety strap so that you can bring the camera all the way up to shoot without impediment. I also used it without the safety strap and had no issue. 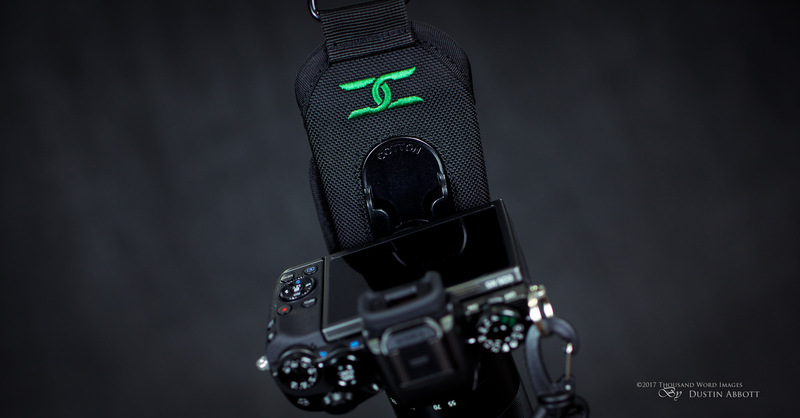 The Strapshot also comes with an optional-to-use handstrap that might make a nice way to have a secure grip on your camera.